- Mary Oliver, “Wild Geese"
The pomp and pageantry. Stained glass windows. Incense waving. The priest’s vestments for Easter mass - deep-purple stole against crisp-white cassock. Church as an aesthetic experience. The cool, dark, protective cavern of the church building itself. The way that holidays like Christmas and Easter used to be tied to something grander than mere piles of toys or baskets of candy. Shoveling into a crowded church on Christmas Eve before we could sit down to enjoy an Italian feast labored over by my grandmother. A Lenten abstinence from sugary desserts making that first bite of Easter chocolate downright transcendent. The sacrifice heightening the sweetness. Hands clasped, huddled under my blanket for nighttime prayers. The comfort of talking through my petty wants and worries with a benevolent listener. The comfort of believing there was someone out there listening. But then, excavating memories of the parochial school I attended, I find they are often tinged with guilt, shame, sometimes the threat of violence. My first-grade teacher, Sister Pierre, angrily leading the class in a chant of the vowels after one of my classmates didn’t answer correctly. “A-E-I-O-U. Say it again!” My cheeks burning even though I wasn’t the ‘guilty’ party. Our second-grade class viewing the Stations of the Cross in the school chapel for Lent. Young and impressionable, I nearly retched after lingering on such graphic imagery – the nails, the thorns, the whole nine. Fourth grade, gym class out on the playground. In my athletic ineptitude, I had accidentally injured a classmate while playing baseball. He would need stitches. Sister Mary Ellen screaming an inch from my face. Her hot breath on me; her face flushed. Now, I am an agnostic who finds herself teaching at a small Catholic university in Central Texas. The college welcomes students and teachers of all faiths, and the campus culture there is intimate and inclusive. But whenever I pass the small chapel on campus or spot a nun’s habit amidst the sea of arty teenage fashion, I am instantly transported to my Catholic childhood. My inner skeptic cringes a bit at the New-Age-y jargon, the daily affirmations and talk of one's inner child. Personally, I remain unconvinced by Julia Cameron's argument that the creative process requires opening oneself up to spirituality (however one defines it, but including the capital-G God). At the same time, there is a lot of solid advice here, for believers and skeptics alike. One of the book's concepts that resonated with me – and might resonate with many parents – is the Virtue Trap. Cameron insists that we need to recharge creatively, to refill the well. That process involves solitude – time to think, create, even play. If we deny that need, believing that it is selfish or that it interferes with our obligations to our family, we might assume the virtuous role, but inwardly seethe with resentment. True virtue, in contrast, requires taking care of yourself in order to be better able to help others, to be more open to the world, with more to give. It demands the courage to risk others’ disapproval when we don't follow the prescribed role. Afraid to appear selfish, we lose our self. Nobody objects to a woman being a good writer or sculptor or geneticist if at the same time she manages to be a good wife, good mother, good-looking, good-tempered, well-groomed, and unaggressive. The history of women in science and medicine is full of such virtuoso performances of virtue. Amanda Barnett writes on Lady Science that it was especially important for women in these 'masculine' professions to emphasize their femininity, which involved showing how adept they were at housework or sewing or child-rearing. Underlying this insistence on domestic virtue was also some degree of fear: the fear of being denied what little access they had to the spaces of science and higher learning. One of the preeminent Good Girls of science history was the self-taught physicist and mathematician Mary Somerville. I first came across her while researching my book on the programmer Ada Lovelace. 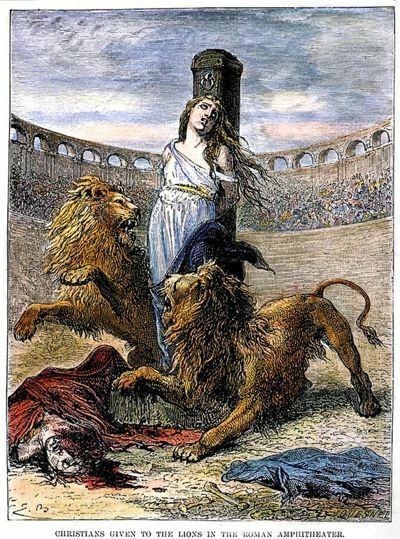 With her wild Byronic heritage, penchant for horse racing, and rumored extra-marital affairs, Lovelace was decidedly NOT a good girl. Somerville tutored Lovelace in higher math for a time, and Mary’s son Woronzow Greig was one of Ada’s friends and confidants. In the Victorian era, Somerville’s scientific reputation far surpassed Lovelace’s. Somerville was hailed in one obituary as “The Queen of Nineteenth-Century Science.” Her influential translation of Laplace’s work on celestial mechanics brought the British physics community up to speed with developments on the Continent. She and astronomer Caroline Herschel were the first women elected to the Royal Astronomical Society. 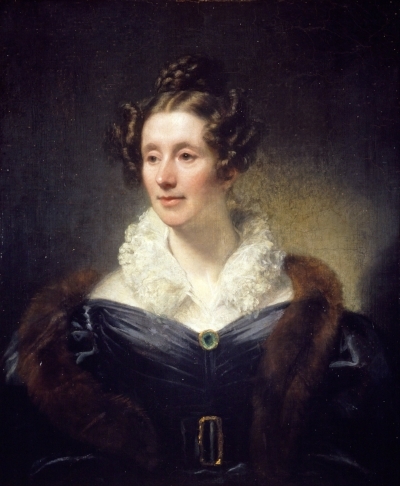 Thomas Phillips's portrait of Mary Somerville from 1834. William Whewell even coined the term “scientist” to describe Somerville. This neologism would account for her unique approach to doing science. In his glowing review of Somerville’s 1834 On the Connexion of the Physical Sciences, Whewell explained that “man of science” wouldn’t do because of her gender. “Scientist,” in contrast, allowed Whewell to convey Somerville’s polymathic nature, her interdisciplinary approach to the sciences. Yet, Lovelace draws me in where Somerville does not. I came across an article by Paula Gould that helped to explain why. Titled “Two Good Women, or Too Good to Be True?” the essay profiles Somerville and Herschel. Gould notes that they emerge spotless from the historical record, which gives us “a picture of two diligent, well-behaved women” with “blameless characters.” Gould concludes that the “history of hardworking heroines” in the sciences could use some spicing up, a few counter-narratives of women who rebelled against these virtuous constraints. Somerville is far closer to who I am than Lovelace: modest, people-pleasing, self-critical. A 'good mom' who puts family first. Like Somerville, I’ve still been able to work under these circumstances, but I also wonder what more I could achieve without all of that pesky good-girl baggage. Lovelace, on the other hand, with her ambition, her braggadocio, her rapper’s swagger, allows me to flirt with an alternative self. Someone whose quest for creative purpose begins by unlearning everything she’s ever been taught about how to be good.